The Hezbollah-Fath al-Sham Ceasefire: A New Regional Equilibrium? Home » Perspectives Papers » The Hezbollah-Fath al-Sham Ceasefire: A New Regional Equilibrium? EXECUTIVE SUMMARY: According to a recent Lebanese press report, a ceasefire agreement has been signed between Hezbollah and the insurgent group Fath al-Sham. This pivotal agreement may serve as an opportunity for both sides to widen the ceasefire into a full agreement that will end the Syrian civil war, which would enable Hezbollah to redirect its efforts towards Israel. Israel must address these developments and implement a new strategy to meet the new era. Lebanon is well known for its ability to maintain a delicate balance between religious minorities and sects. The civil war of 1975-89 was resolved by the Taif Agreement, ending the painful ordeal. The current political arena in Lebanon presents a fragile equilibrium between Hezbollah (which promoted the election of the pro-Syrian former head of the Army, General Michel Aoun, to the presidency) and a multi-sect resistance defined as “The March 14th Alliance” (formed in 2005 and headed by Sa’ad Hariri, son of PM Rafiq Hariri, assassinated by Hezbollah). When the Syrian civil war erupted, Hezbollah adapted to the new situation, viewing it as an arena in which to fight under Iranian patronage against ISIS alongside the pro-Assad militias. The Syrian conflict enabled the organization to send troops to complex war arenas, receive and use new weapons, and implement new fighting methods. As Hezbollah Secretary General Hassan Nasrallah has proclaimed in various speeches, these will be used against Israel in future showdowns. As Israel commemorates 35 years since Operation Peace for Galilee, one may note its long history of wars and operations in Lebanon, which caused a significant number of casualties: the 1978 Litany Operation, Operation Peace for Galilee in 1982, Operation Accountability in 1993, and Operation Grapes of Wrath in 1996. The Israeli withdrawal from Lebanon in May 2000 led to a new equilibrium that culminated in the Second Lebanese War in July-August 2006 and the subsequent massive Hezbollah buildup. Israel must stay on the alert and is obliged to create credible deterrence. 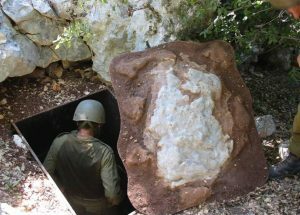 The post-2006 war era has been characterized by challenges to Israel from various terrorist groups, of which Hezbollah’s threat reigns supreme. The threshold is slippery. The Israeli security forces conduct war games and army maneuvers, prepare the home front command, and alert the Israeli public to the possibility of a third war in Lebanon. Israel must be prepared for a full-scale war, and must attempt to calculate the odds of such an outbreak of hostilities. Should Hezbollah end the fighting in Syria – as has possibly been signaled by its ceasefire agreement with Fath al-Sham – the danger will increase. Jerusalem should also pay attention to those voices in Lebanon criticizing Hezbollah’s involvement in the Syrian civil war. This is an opportunity to revive basic principles agreed upon in the 1983 Israeli-Lebanese peace agreement. Those who promoted that agreement covered all the relevant disputes between the two states. One has only to acknowledge the need for cooperation with the Lebanese opposition to Hezbollah – an opposition that is not interested in being compelled to assist the promotion of the organization’s regional ambitions. As the mandate of UNIFIL (UN Interim Force in Lebanon) is about to expire at the end of August 2017 (following a year extension by the Security Council), one must review what advantages there may be to forming a new UNIFIL mandate to meet new security threats. If Israeli-Hezbollah hostilities do break out, the political and military grids will have to prove that they learned valuable lessons from former showdowns. Dr. Barak Bouks, Ph.D. (Department of Political Studies, Bar-Ilan University) specializes in religion and terror, the Middle East, security (focusing on Lebanon), and Arab Media, using qualitative & quantitative analysis.